It’s wonderful to see what our customers make out of our humble paper twines. 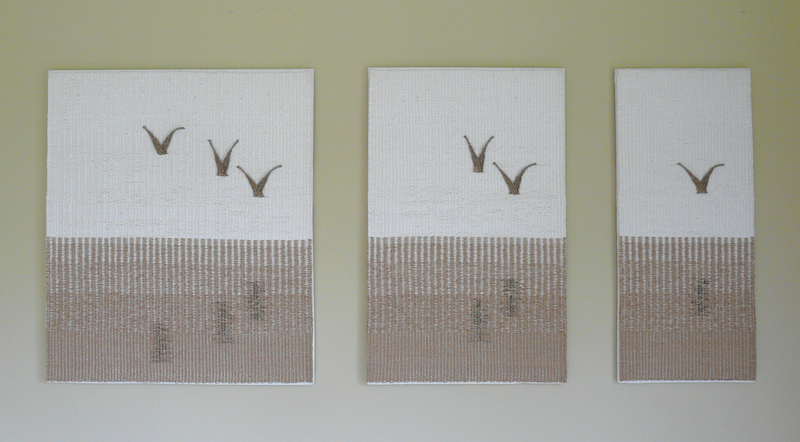 And this fantastic woven triptych by Agnieszka ‘Uisce’ Jakubczyk was even selected and shown at the International Biennial PAPER FIBRE ART Edition 2017/18 – Congratulations! Read more about the artist and the pieces on our websitewebsite.